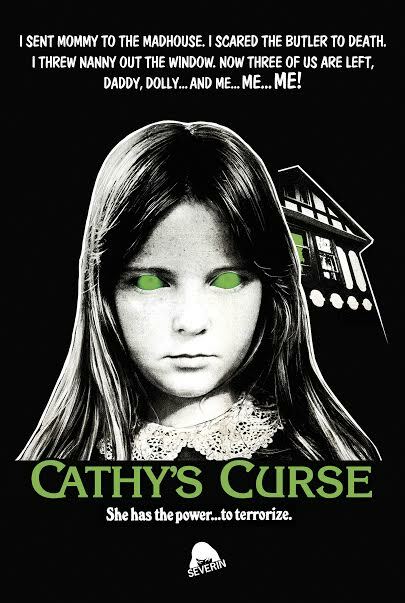 On April 11th, Severin Films will possess the souls of genre fans with the first ever fully restored presentation of Canadian nightmare generator CATHY’S CURSE. Fans can now experience one of the strangest EXORCIST/OMEN/CARRIE-inspired grindhouse hits like never before, transferred in 2k from recently-found film elements and featuring revealing new Extras with long-lost star Randi Allen and producer/director/co-writer Eddy Matalon. Posted in News and tagged Canuxploitation, Cathy's Curse, Severin Films.